...way back in January when I was planning to go and make a first time visit to 55N 5W I saw the report of the first attempted visit here. Looking at the OS map showed what appeared to be an unclassified (road sense, not military sense) road passing within about 30 yards of the spot. 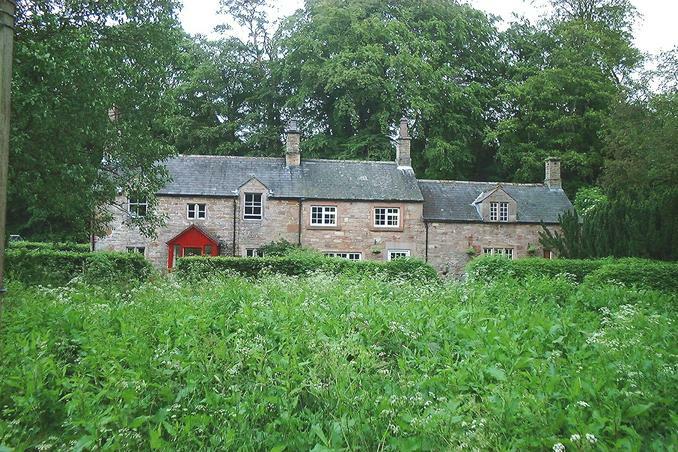 On my visit on the 12th Janauary to 55N 5W I detoured out of the way to scout this location. A brief drive round revealed not very much. I stopped at the guard house and got the postal address and rank of the base commander. I then wrote and asked for permission to visit. About three weeks later I received a reply and the visit date was set for 26th February. That visit was also marked down as an attempt. I managed to get to 216m away, close but not close enough. About two months ago I decided to give it one last try. I wrote to my contact explaining that the previous visit was officially unsuccesful. I enclosed an aerial photo of the area and again asked for permission to visit. I knew that the spot was in an area that was "restricted" even to the base occupants. To my surprise I got a reply asking for the details of the emissions from the gps unit! I wrote to Garmin (www.garmin.com) who sent me the certification report for the Etrex in Europe detailing the standards met etc. This was duly sent back and I sat back to wait the three weeks or so it would take to determine if the Etrex was safe to take into the "restricted" area. Perhaps I should explain why this military base has an area within it that is so tightly controlled. Back in 1914 at the start of World War 1, it was decided that some new storage areas were required, this was completed in 1915/16 and has been in continous use ever since. 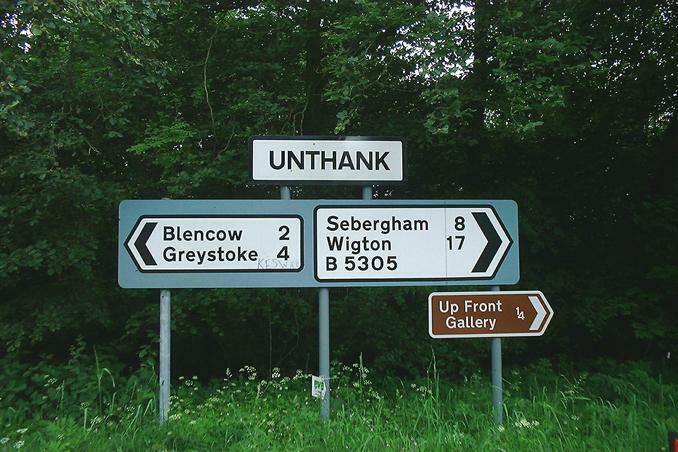 It is now one of the largest munition dumps in the UK. About two weeks ago I got a reply saying that "the GPS has been approved for use in the area identified", brilliant, all set, just needed to make the visit arrangements. I phoned up and arranged for yesterday, 18th June. As per last time I left the house at 5am for the long trek North. Now Monday had been a lovely day, I woke up to light rain...typical. Once I had stopped for breakfast and a 30 minute nap to freshen up I got out the GPS and digital camera ready for when I was within 50 miles of my destination. As you can see (Pic 3), the clouds were quite low, these hills are only about 1500 feet high. I decided to take a different route today. When I was about 40 miles away I turned left off the motorway (M6) and headed down towards the A6. 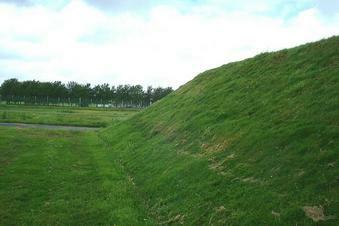 This used to be the main road from England to Scotland before the motorway was built. 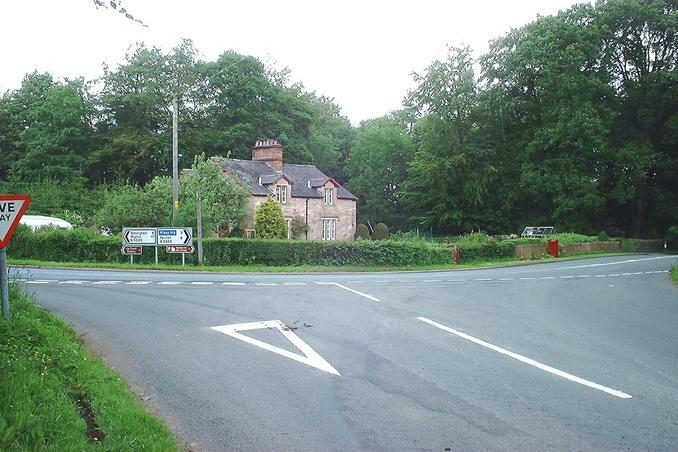 In this picture (Pic 4) it is the road going from left to right at the 'T' junction. This route takes you through some of the famous towns in this part of the world. 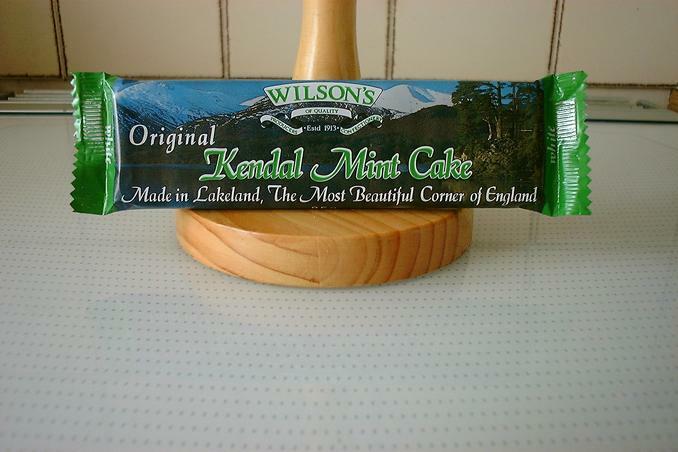 Starting with Kendal where the world famous Mint Cake (it is a sugar confection...) (Pic 9) comes from. 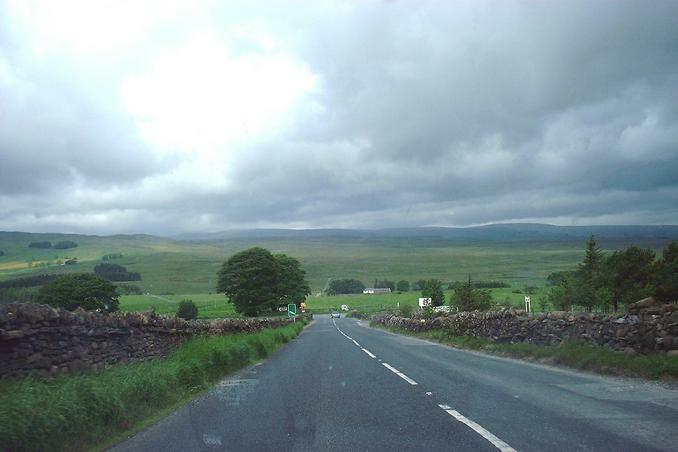 Continuing up the road takes you towards Shap and the highest point on the road. It is still posted as hazardous in winter conditions. Situated a short detour of the main road lies the ruins of Shap Abbey (http://www.visitcumbria.com/pen/shapab.htm or http://www.theheritagetrail.co.uk/abbeys/shap%20abbey.htm) which date back over 800 years. Back to the A6 and I rejoind the motorway to bypass Carlisle. 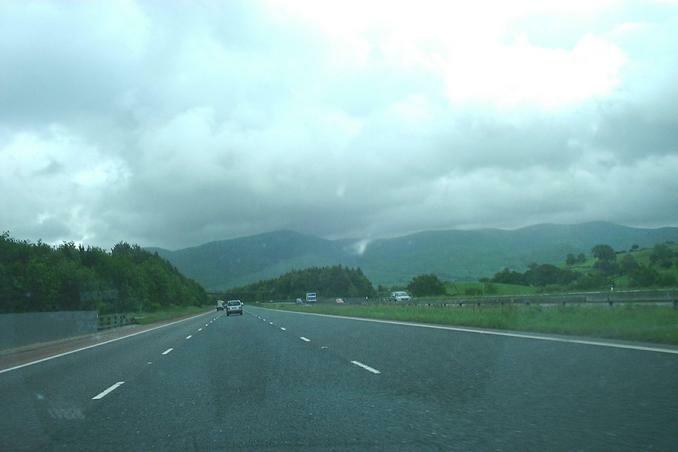 I got off at the end of the motorway and took the A7, the scenic route into Scotland as far as Longtown. I stopped here to compare the state of the river to the last time I was here. 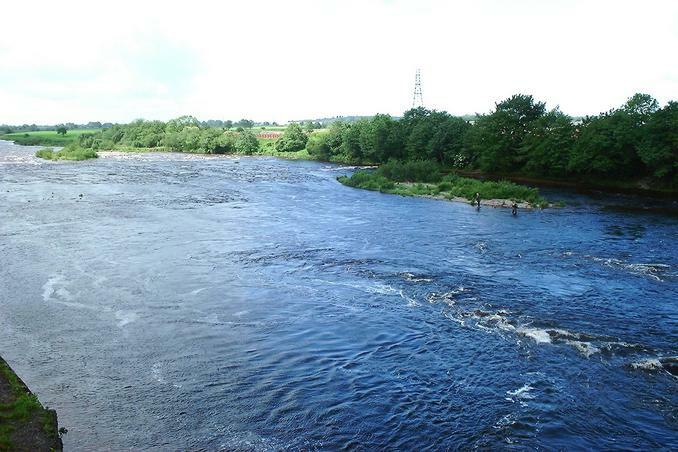 As you can see (Pic 8), this time the river is blue and not an angry swollen brown. The people you can see are fly-fishing. Continuing on to the base I arrived exactly on time. Now the proverbial crow has it easy, if I could have taken his route it would have been 210 miles, sticking to the roads it was 271. I checked in at the gate and got a different coloured pass this time, different part of the base. I met up with my contact and we drove down to a second guard house. I was checked in again with a list. Then I was given a little metal numbered token. I am only guessing but maybe it's in case anything blows up they have some way of identifying you? After being asked if I had any contraband - meaning lighter, matches, cigarettes or any source of possible ignition (mobile phone had to be left behind, even though it was switched off!) we were waved through. By this time the sun had come out and we had a nice stroll down towards the CP. We quickly found the area, it seemed that CP was possibly located in an undergound store. Walking around this revealed that it had been built exactly on top of the CP! Amazing, when they built it 90 years ago, how did they know? I placed the GPS on the slope of the store, which is about 23 feet away, the gps error was 24 feet, so who knows maybe I was on the exact spot after all? This is only about 3 miles or so from the sea and so is a low altitude, some 7000 feet lower than my last visit (37N 119W), this was only 58 feet. 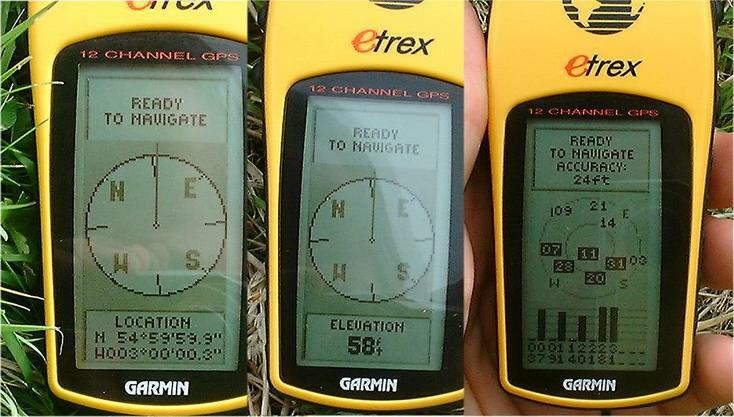 Pic 2 shows the gps montage. I managed to get a location picture (Pic 1). It is taken facing North-East as looking directly North there was an object(s) that I was not allowed to photograph.